Shop the best automotive suspension brands at the lowest prices guaranteed. We specialize in lowering kits including coilovers, air ride kits, lowering springs, and more. FREE SHIPPING in the USA. Shop one of the most popular brands in the industry. We guarantee the lowest prices! In-stock orders ship within 24 hours. Quotes are a hassle. Customize your Rotiform wheels to see the price instantly on our new wheels website— Offfset.com. Designed, engineered, and tested on race tracks across the globe using feedback of top tier drivers and technical directors. 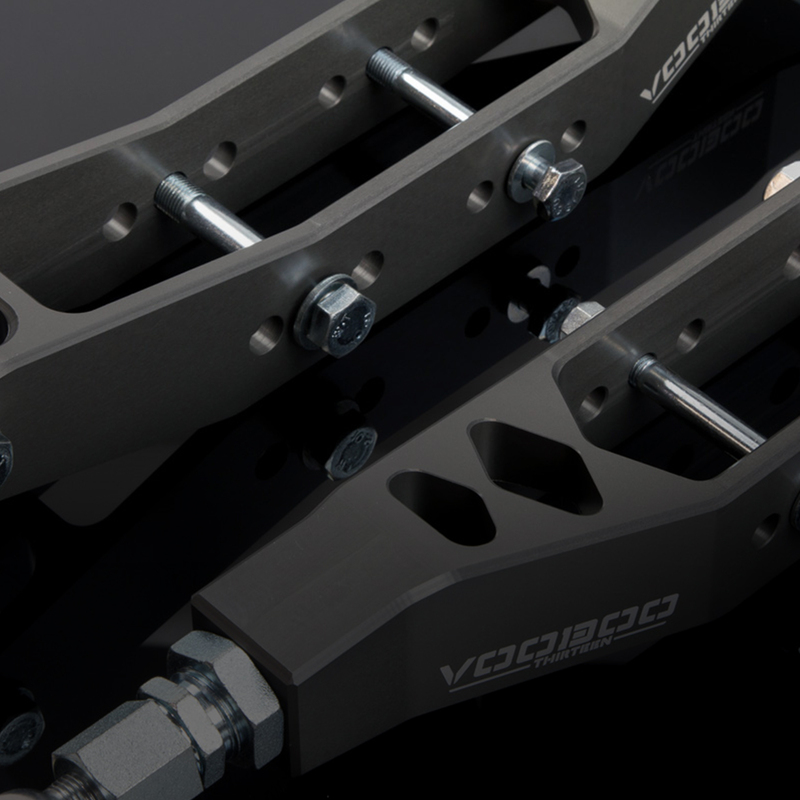 Voodoo13 Suspension products are Precision CNC machined from high strength aluminum and coated in MIL-A-8625 Type III Hard Anodize. We are the number one superstore for aftermarket suspension parts and components. 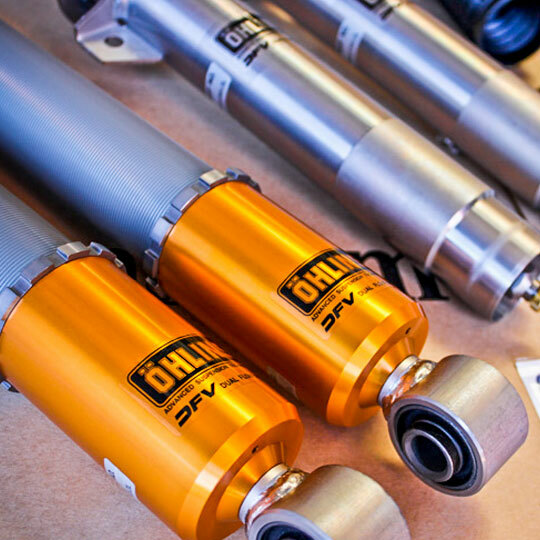 As an aftermarket suspension distributor, we are pleased to be able to provide our customers with a plethora of essential suspension parts and more advanced modification options. Our essentials are comprised of suspension parts like bushings, mounts, control arms, shocks, and struts. Our other nonessential upgrades include the likes of stabilizer bars, coilover sleeves, lowering springs, electronic damper controls, and more. Whatever you are looking for, Springrates has got you covered. We are proud to be an aftermarket suspension distributor that supplies customers with free shipping within the continental United States. We also want you to consider us a resource! 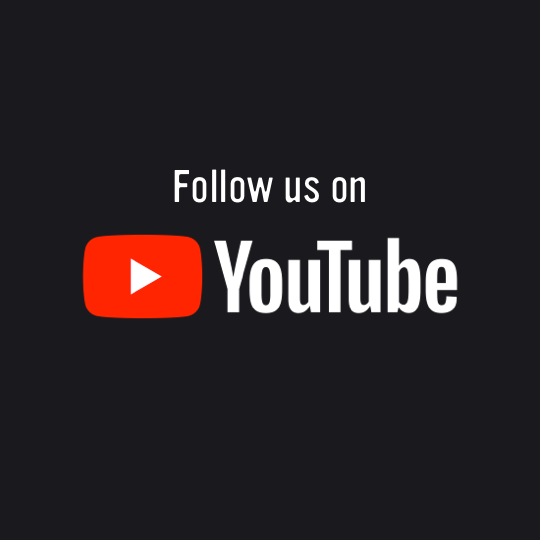 If you have any questions about our products, or need some helpful advice, do not hesitate to reach out! Browse new products recently added to our shop. Swift Springs uses their own proprietary material and a unique manufacturing process to provide a superior level of performance and handling. The springs are lighter and reacts to driving conditions faster, yet smoother. Swift Springs also feel softer at the same spring rate compared to the standard coilover springs by other companies. Learn more about choosing and managing your car's suspension.